I am a French-Spanish river whose source lies at an altitude of 3,404 m in the central Spanish Pyrenees. After a course of 529 km, I flow into the Atlantic Ocean via the Gironde estuary. I am the largest river of the Adour-Garonne Basin and France’s third most powerful river in terms of discharge. My name: the Garonne! In addition to all the human activities I allow, I am also the source of a remarkable natural heritage with numerous wetlands and no less than 15,000 ha classified Natura 2000. But due to rapid urbanisation and climate change, my water is becoming increasingly rare. 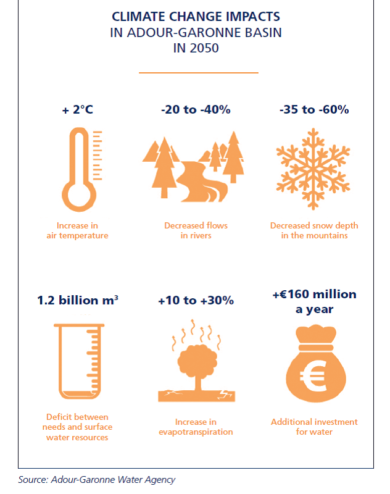 My basin is that most affected in France, with a projected deficit of 1 billion cubic metres a year between resources and uses from now to 2050. Confronted by this programmed hydric deficit, it is now vital to completely rethink my management to take better care of me and prepare for a brighter future. Tributaries: Lot, Tarn, Gers, Ariège, Aveyron, Baïse, etc. A powerful river with torrential tendencies, I’m the cause of considerable flooding in spring and the victim of low flows in summer. Violent floods have occurred with dramatic results such as in 1875 at Toulouse (200 deaths), and in 1930 at Moissac (120 deaths and 6,000 homeless). Despite these constraints, people have always needed me for their transport. Bargemen have constantly run risks to carry salt, wine (the gold of the Garonne) and other farm products. The Canal du Midi was built in the 17th century to control my flows. Some 240 km long, it links me directly to the Mediterranean. The Garonne Canal was built later on, in the 19th century. In spite of these developments, river transport has always been marginal compared to rail. 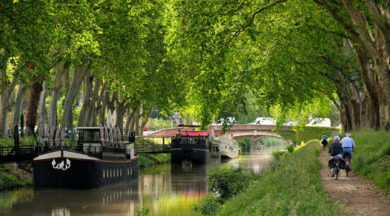 Mainly used to transport goods up to the 1970s, navigation on both the Garonne Canal and the Canal du Midi is now mainly devoted to pleasure craft. The Adour-Garonne basin has 120,000 farms covering a total surface area of 15,000 km². Nearly 64% of the basin is used for growing crops and livestock breeding. About 15% of this farmland is irrigated, requiring the consumption of 264 million m3 a year. The Adour-Garonne basin has considerable hydroelectricity potential: 15,000 GWh a year (i.e. 20% of national hydroelectricity production) and 2.5 billion m3 of water stored. A large proportion of the hydropower structures are in Haute-Garonne, downstream of the Pyrenees. Nearly 99% of withdrawals of water intended for industry (paper, automobiles, aeronautics, etc.) are taken from my bed, amounting to about 168 million m3/year. One third is consumed while the remaining two thirds are returned to the natural environment after use. Following treatment, the water taken from the Garonne valley supplies nearly 2 million inhabitants with a daily average volume of about 150 litres per person. The largest boats can sail in the estuary up to Bordeaux. Since 2004, parts of the A380 airliner have been transported by boat between Pauillac and Langon. It’s a difficult task done at low tide, due to the huge size of the parts transported that have to pass under the bridges. This 150 km journey can take up to 11 hours! My canals and I are now mostly used by pleasure craft and for nautical activities: angling, canoeing-kayaking, rowing, bathing, etc. Boat rentals are increasing and more than 10,000 boats travel on the Canal du Midi every year. The canal has been declared a UNESCO World Heritage Site. The Port of Bordeaux is a stopover for sea-going ocean liners and river tourism vessels. 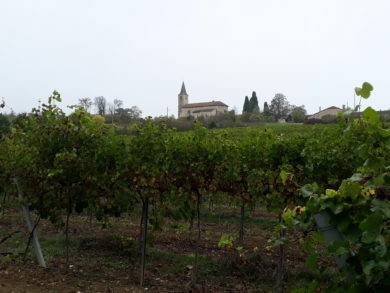 Of France’s six catchment areas, the Adour-Garonne basin is that most affected by climate change. It is now estimated that the shortfall between available water resources and water consumption has reached 250 million m3/year. It could even reach 1 billion m3 in 2050! The increase in temperature, already a reality, should reach +2°C, with many impacts on the climate, the landscape and my water resources. The latter will become less plentiful at the same time as demographic pressure increases, with 1 million additional inhabitants by 2040! I risk losing up to 50% of my water resources, soil will suffer more regularly and more severely from droughts and the recharging capacity of aquifers will decrease. Lower discharges will reduce my capacity to treat my water naturally. Its temperature will increase, leading to a fall in dissolved oxygen rates, increased eutrophication, the proliferation of algae, more severe ecotoxicity, and so forth. Extreme climatic events (droughts, heatwaves, floods) will become more frequent and intense, with risks for the coastline such as erosion and submersion by the sea. The increase in temperature, extreme situations (droughts, floods, etc.) will accentuate the already severe pressure on resources during low flow periods, worsening the quality of my water. How can my water resources be preserved in this context of changing climate? 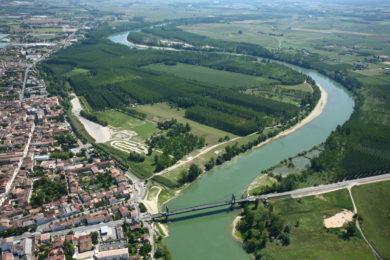 In the Adour-Garonne basin, a climate change adaptation plan was adopted in July 2018, principally backed by the public authorities, water agencies, Regions, Departmental Councils and territorial authorities. Finding a balance between needs and resources. Reducing pollutions at source in order to treat them more efficiently. Strengthen the capacity of natural wetlands to resist a warmer and drier climate. Find a way of avoiding natural risks (floods, coastal erosion, submersion by the sea). Adapting to climate change means acting faster and more effectively today to reduce this vulnerability. 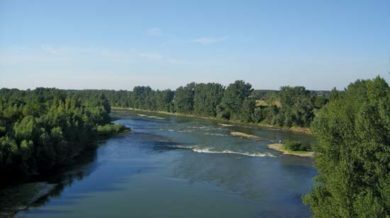 Hello, I invite you to visit the following page, on the Initiatives for the Future of Great Rivers (IFGR) website :Garonne https://www.initiativesrivers.org/rivers/the-garonne/ Best regards.